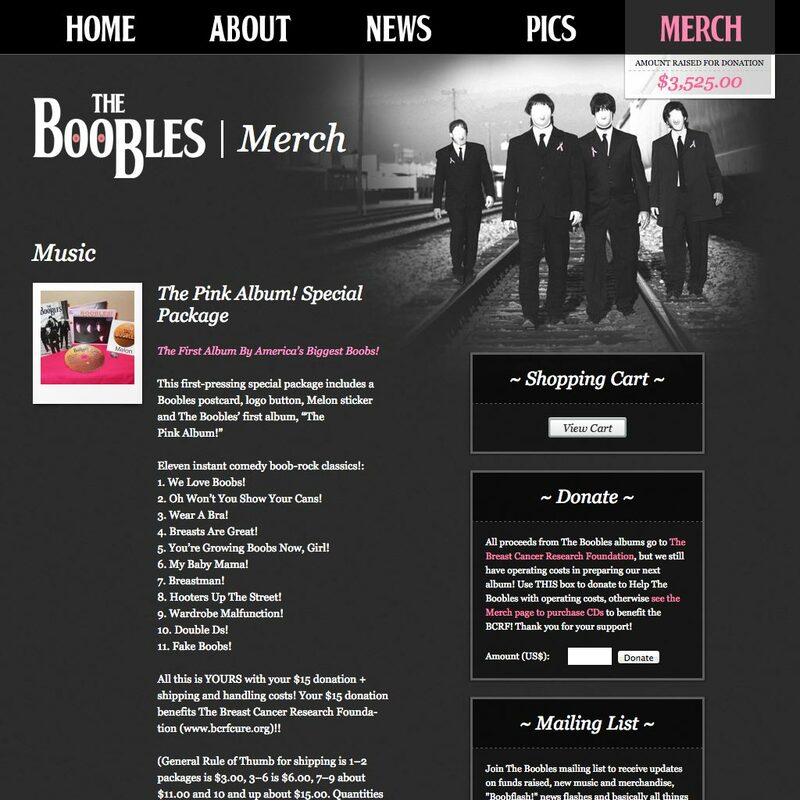 The Boobles is a Beatles parody band using music to raise money for breast cancer research. When they approached me with the project, it became clear that taste and credibility were important to ensure the message wasn’t lost in the medium. I worked from design suggestions they provided to deliver a WordPress-based solution to meet their marketing needs. Working with Jared on a website is like getting the Beatles back in the studio with George Martin. I explained my ideas and the functionality I desired on the site and he made my ideas a clickable reality! He also brought really great artistic (the media player that resembles the buttons of an old Studer J37 4-Track tape recorder was his idea and PERFECT for my site) and functional suggestions to the table, which I was pleased with. Lots of people would just do what you tell them without discussing how it could be improved or more effective, but not Jared. Kudos brother, you made my webpage better than my vision.